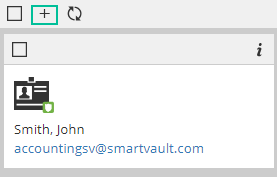 When you add an employee to your SmartVault account, an email invitation is sent to the employee that lets them join SmartVault. 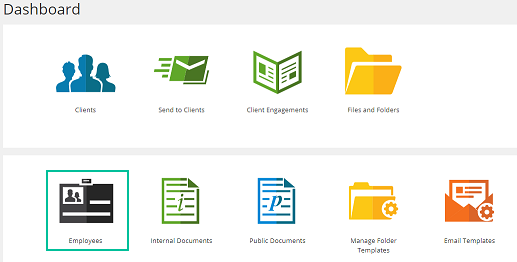 It's easy to add an employee to your SmartVault account. After adding an employee, an email is automatically sent to the employee which allows them to create their account and access SmartVault. In order to add a new employee, you must have an available license. Find out more about adding additional licenses. 3. Click the + icon in the top left hand corner of the screen. 4. Click the + icon to add information for each field. Note: The Names and Email fields are required. 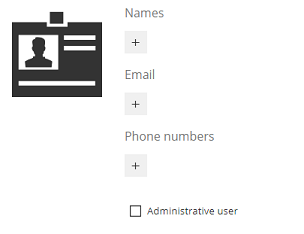 Enable the Administrative user checkbox to give the employee administrator privileges. 5. Click the Save changes icon to save, create, and invite the employee. You may receive one of the following error messages when adding an employee. This error message indicates that one of the fields in the form has a syntax error, such as a space in an email address. Check the field that is highlighted in red to identify and fix the error. This error message indicates that you don't have enough licenses to add this employee. To add additional licenses, you must make changes to your plan. This error message indicates that the user was previously added as a guest. A SmartVault user ID can only be associated with one account type at a time.